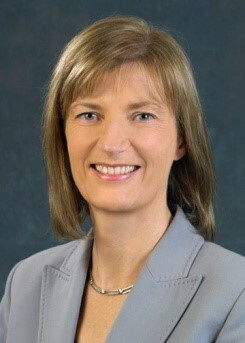 Prof. Siobhán Clarke is a Professor in the School of Computer Science and Statistics at Trinity College Dublin. She joined Trinity in 2000, having previously worked for over ten years as a software engineer for IBM. Her current research focus is on software engineering models for the provision of smart and dynamic software services to urban stakeholders, addressing research challenges in the engineering of dynamic software in ad hoc, mobile environments. She is the founding Director of Future Cities, the Trinity Centre for Smart and Sustainable Cities, which includes contributors from a wide range of disciplines, including Computer Science, Statistics, Engineering, Social Science, Geography, Law, Business and the Health Sciences. She leads the School’s Distributed Systems Group, and was elected Fellow of Trinity College Dublin in 2006.